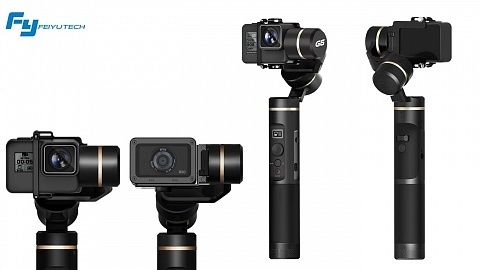 Zhiyun recently focussed on producing DSLR and mirrorless camera gimbals and became a well known and trustable brand. I tested Zhiyun Evolution and Zhiyun Rider a while back and was very satisfied with the results. Unfortunately there were no updates for GoPro gimbals in a while. 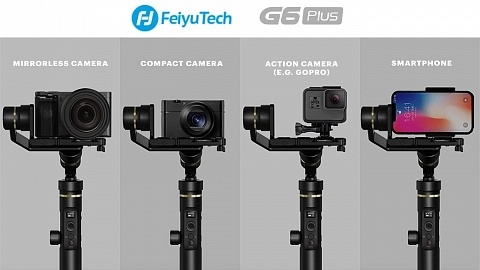 Now finally Zhiyun is back to the GoPro market and released Zhiyun EVO 2 gimbal for GoPro Hero6 & Hero5. 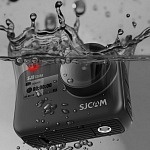 Compared to its predecessor the new version is splashproof – great, since GoPro is waterproof as well. And they added a new mounting system – awesome, since fiddling with a frame and tiny screws took much time. 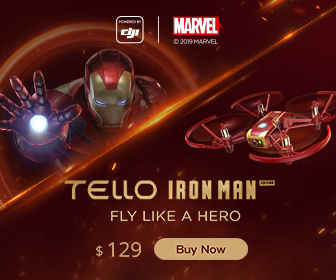 I was quite surprised when I got notice of Zhiyun EVO 2 and wasn’t able to gather all information so far. I contacted Zhiyun and hope I can compete this article soon. 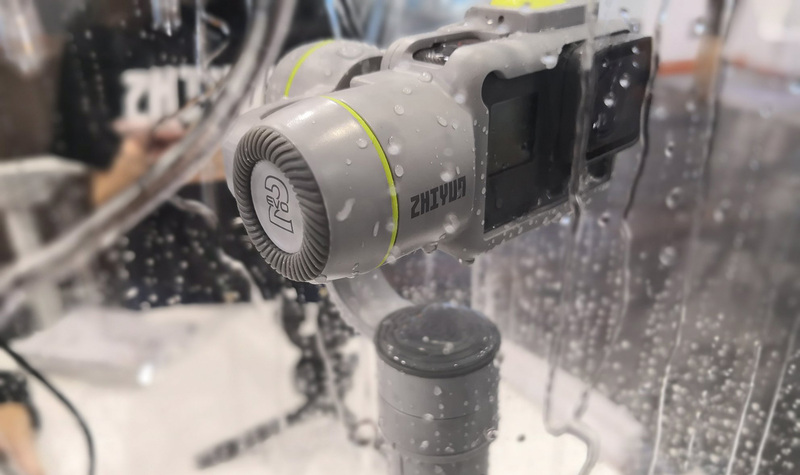 The body of Zhiyun EVO 2 is splashproof, even the the gimbal is charging the camera. Notice the cable that is connecting gimbal and camera in the photo above. Another great new feature compared to the older Zhiyun Z1-Evolution (and competitors like Feiyu G6) is the mounting system. 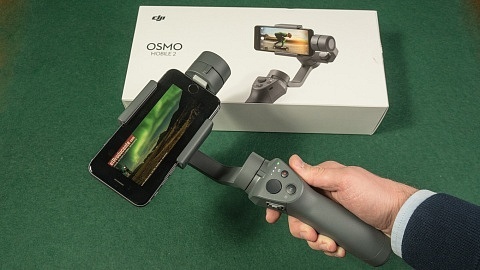 Instead of fiddling with a frame and small screws, Zhiyun EVO 2 uses a mount like the GoPro frame. This way you can easily mount your GoPro Hero5 black or GoPro Hero 6 black – or remove it to use it with another mount. Unfortunately I currently don’t have further infos at the moment, such as rotation on each axis, removable or non removable battery as well as capacity. 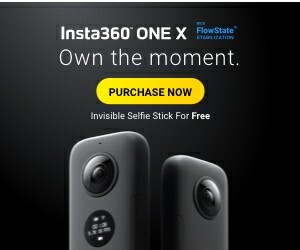 I also wonder “how splash-proof” the gimbal is. I hope I can add that info soon. 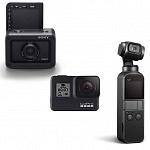 Zhiyun EVO 2 offers GoPro camera control. You can use the mode button to switch between photo, video, burst & time-lapse mode. POV mode enters a special mode, see below. The mode switch button is embedded in a LED ring that is lit blue when in pan following mode or yellow when in locking mode. The grip also features a LED to indicate battery status and well as a shutter button. As mentioned the gimbal offers “Pan Following Mode”, that means the camera’s orientation is following your pan and tilt movements grip. In “Locking Mode” all axes are locked and the camera always points in the same direction anyways you move around. 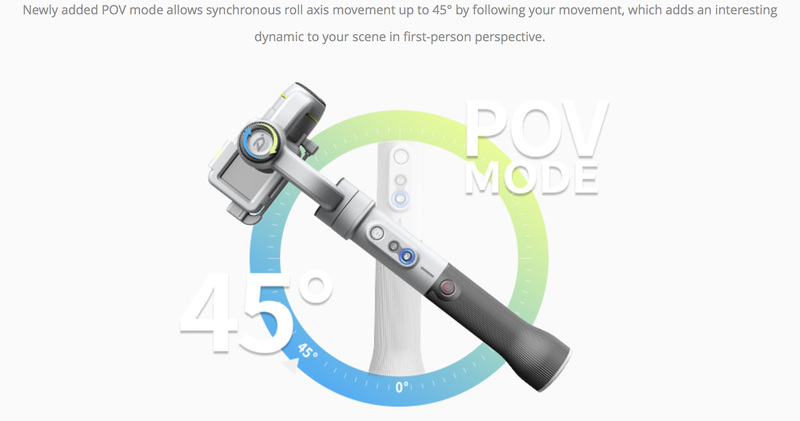 A special advertised shooting mode is POV mode. It seems that the camera can move up to 45° on the roll axis, but I’m not quite sure about this mode at the moment. I’m glad that Zhiyun updated their action camera gimbal and I’m very happy with the new mounting system. 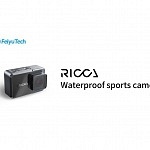 It provides a secure mount for your GoPro (compared to smartphone gimbals like Zhiyun Smooth Q) but still the camera can be quickly mounted (compared to frame & screw). 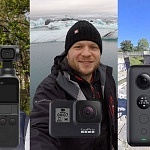 Of course that is borne by compatibility as it seems that Zhiyun EVO 2 is only made for GoPro Hero5 black and GoPro Hero6 black. 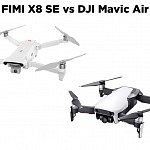 Still it makes sense as SJCAM, YI Action Camera and Xiaomi Mijia released their own gimbals for their cameras as I expect it to be cheaper than GoPro’s $299.00 Karma Grip, which moreover is not splash-proof.